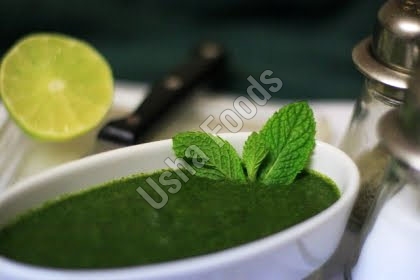 Ideal to serve with fried snacks, sandwiches, appetizers, etc., The Mint Chutney is loved by people of every age group. Our Mint Chutney is prepared by using the fresh mint leaves in hygienic conditions to ensure its high quality standards. We are known as a famous Mint Chutney Manufacturer, Exporter, and Supplier in India.